WHO PATROLS THE PROGRESS POLICE? broliath on GRETA VAN MOON SKEPTIC..? Jesse Jackson’s complaint was in 2007. Three years later it’s still “All Day, All Night, All White” at MSNBC. Probably the best quote in the history of man. Jon Stewart can you hear me? 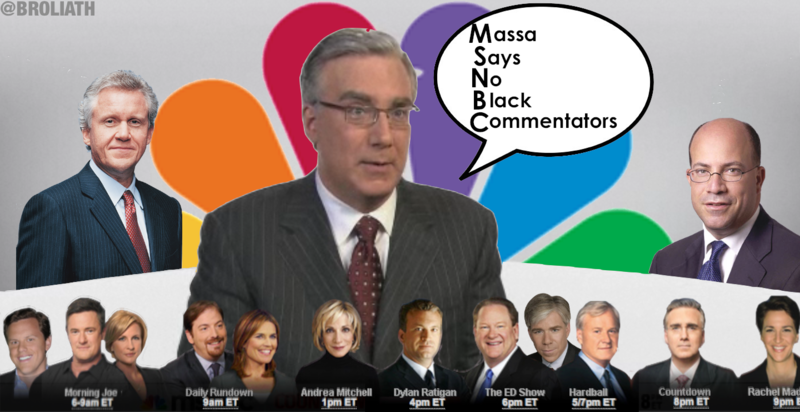 MSNBC: MASSA SAY NO BLACK COMMENTATORS!